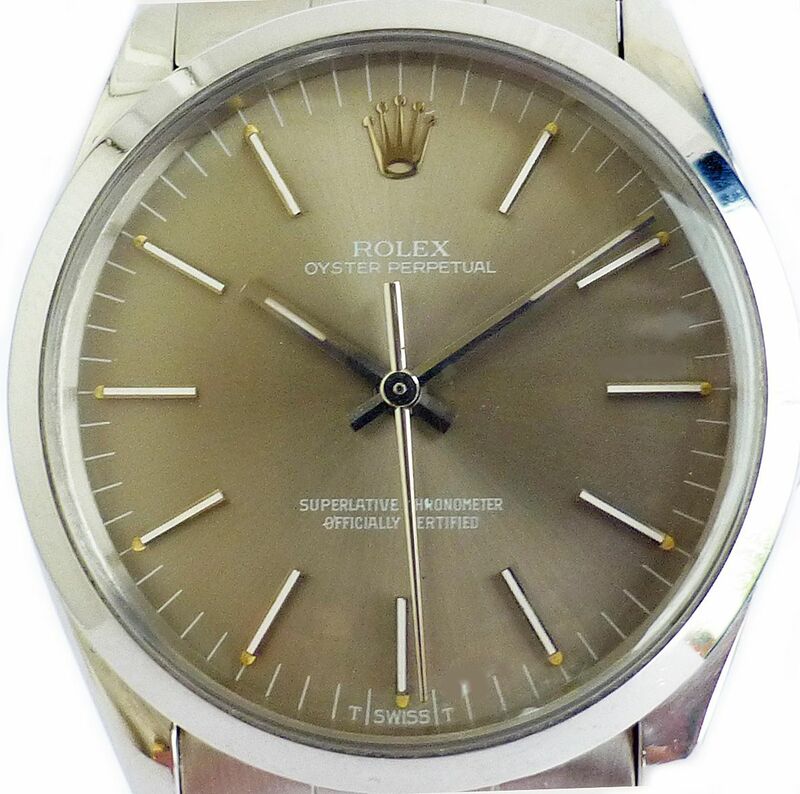 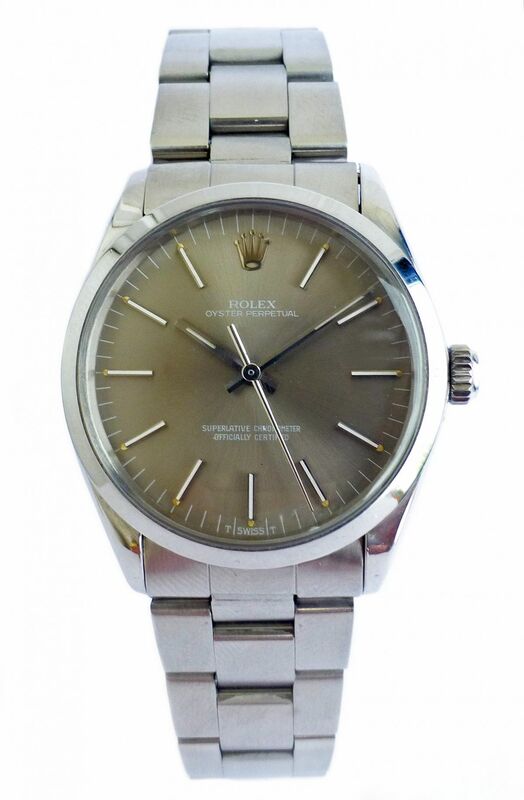 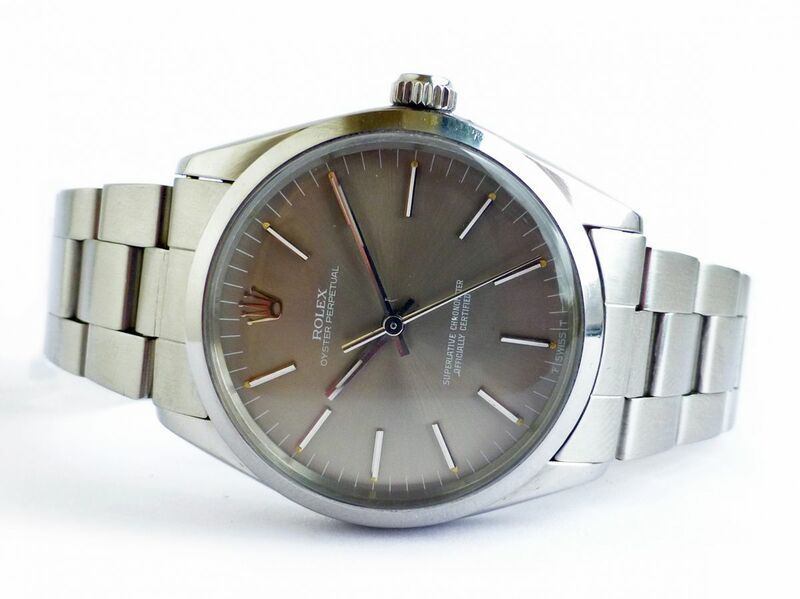 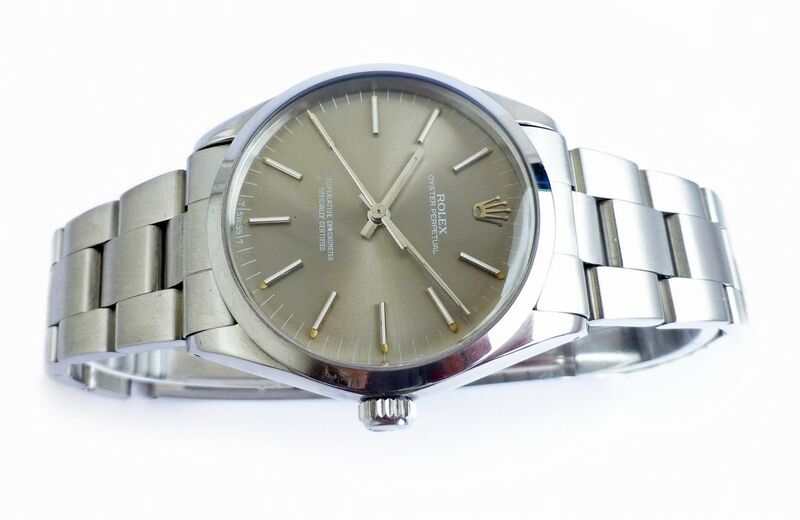 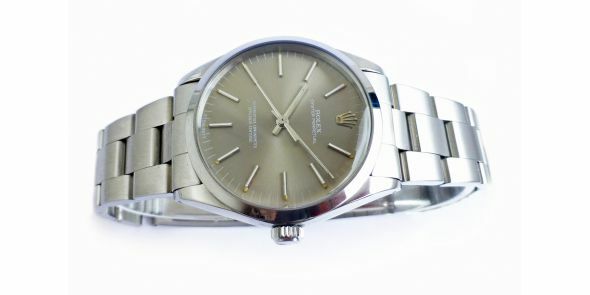 Excellent condition Rolex Oyster Perpetual. 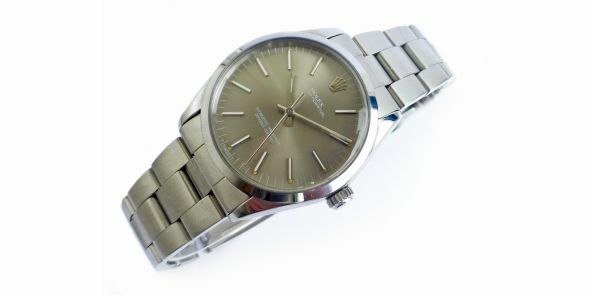 It has just had a full service and is in perfect working condition. 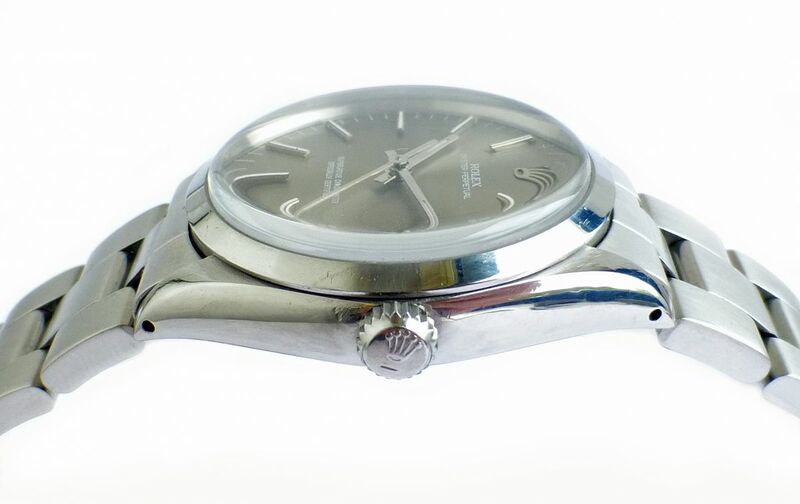 Model reference is 1002. 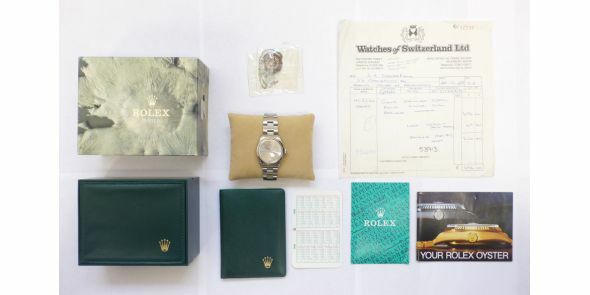 It comes with the original box with 1002 sticker on the box, most of the papers, including the original purchase receipt showing it was purchased from authorised Rolex dealers, Watches of Switzerland in London in December 1988, the price...£696. 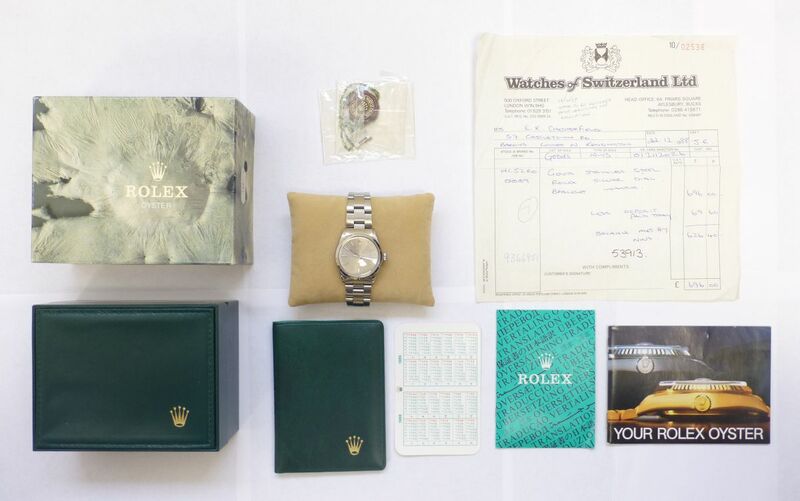 The case and bracelet are in overall outstanding condition, however there Is some stretch to the bracelet, but still very wearable and excellent condition. 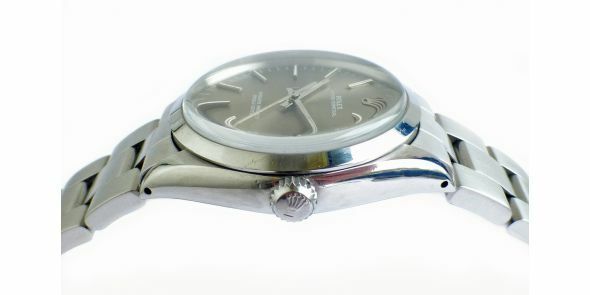 This variant is the popular smooth bezel with Oyster bracelet. 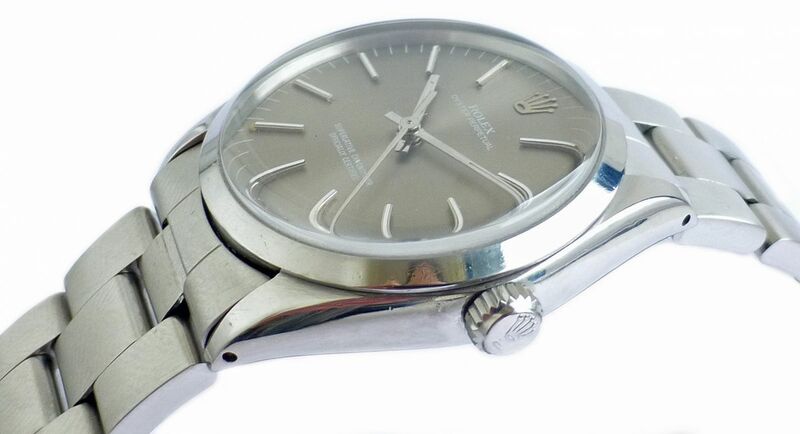 A wonderful example of the true classical Oyster watch that made Rolex the most famous watch makers in the world. 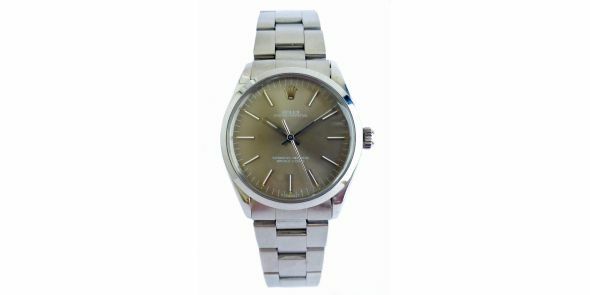 It is the most straight forward Rolex, the least copied, and the one that is instantly recognisable as the Rolex classic. 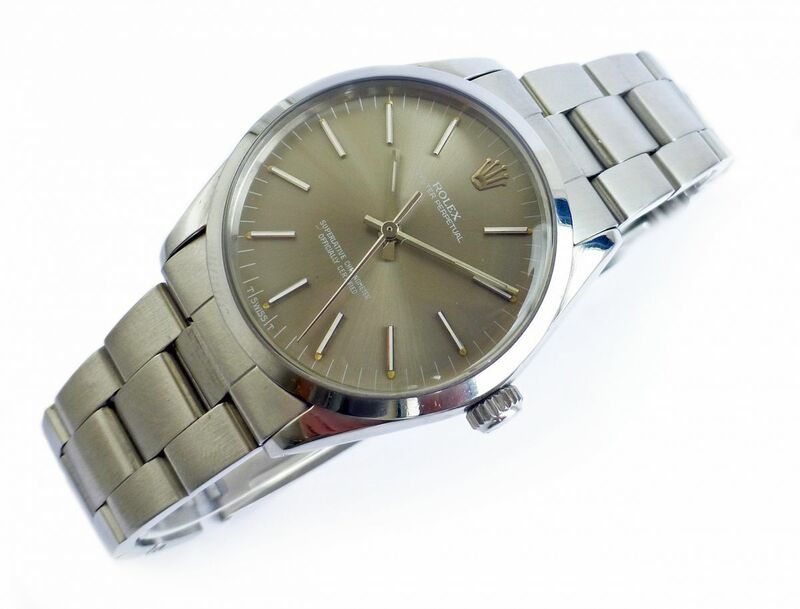 It has a beautiful grey or "mercury" dial with silver applied baton markers and hands which match the stainless steel case. 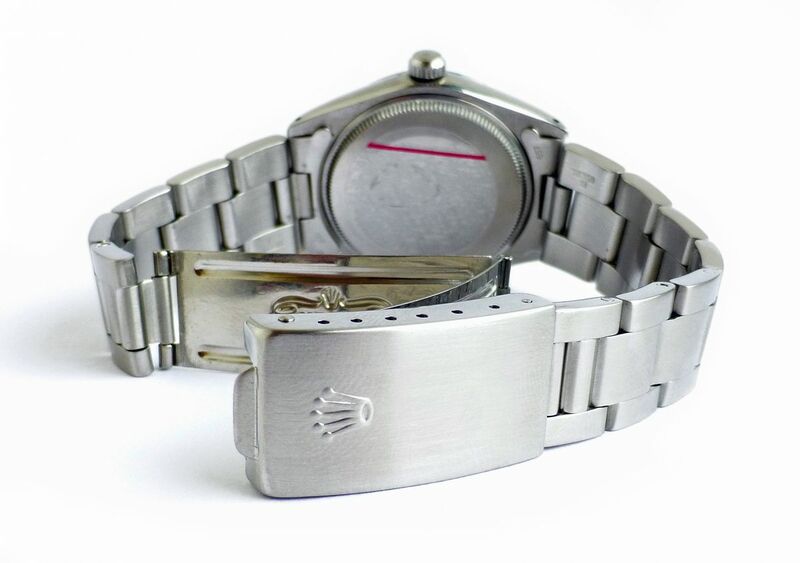 Has the smooth bezel and the Oyster bracelet, and acrylic crystal. 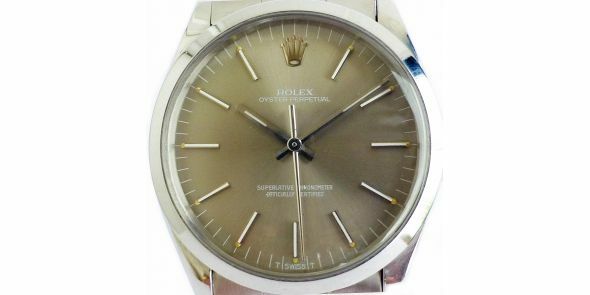 Large Rolex crown logo at 12 and Rolex signed winding crown. 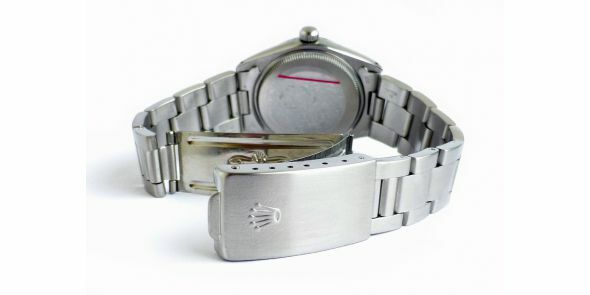 The crown is screwed down for water resistance. 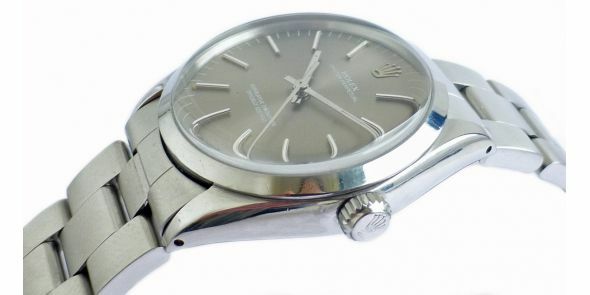 Automatic winding Rolex movement. 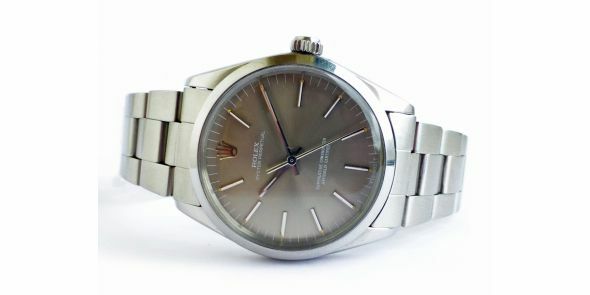 Width is 34 mm excluding crown, 37 mm including crown, thickness is 11.5 mm and 42 mm lug to lug.